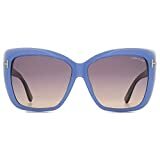 US fashion house Tom Ford creates frames for the fashion elite with their dramatic designs and luxurious detail and these Tom Ford FT0390 84Z 59 Irina Sunglasses in Shiny Light Blue certainly meet the mark. Crafted as an ultra-glamourous square silhouette with a 1970s edge, these Tom Ford Irina sunglasses are refreshing and youthful with a summery pop of colour in cornflower blue and navy. 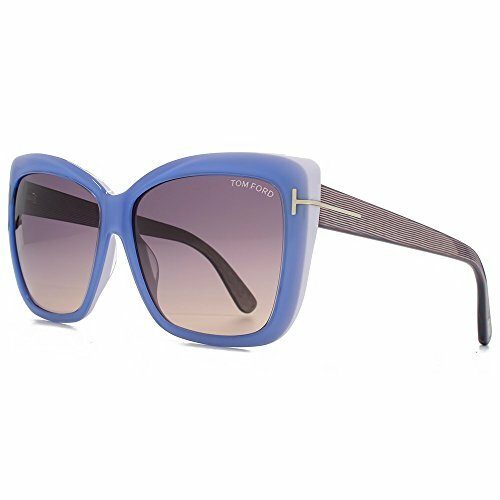 Contrasting with 59mm brown gradient lenses and delicate silver T-hinge detailing as Tom Ford's signature addition, these Tom Ford sunglasses are ideal for making a real statement no matter where you go this season.